As you can imagine, we receive far more requests for assistance than can be accommodated with limited funds. 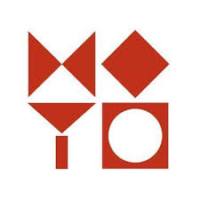 With the exception of special projects, the Max M. & Marjorie S. Fisher Foundation is accepting applications by invitation only. An organization interested in having the Foundation review a program in alignment with our mission and current impact areas is encouraged to submit an initial letter of inquiry by creating an account in our database. If you would like to submit a letter of inquiry, click below to begin. At the Max M. & Marjorie S. Fisher Foundation, we are committed to providing an equitable, transparent and responsive grant partner experience. We encourage all current grant partners to work directly with our program staff for support in any of the stages of our granting cycle, including: proposal review, grant agreement submission, reporting guidelines, stewardship materials and post-grant reflection. If you have a Fluxx account with us, click below to log in. Browse our Grant Partners by choosing a category below, or scroll down to see the complete alphabetical list of current and past partners. With operations in Zambia and US offices in Arizona, Abataka is a qualified non-profit organization that provides economic and educational opportunities otherwise unavailable to vulnerable women and girls in Africa and elsewhere. The American Friends of the Israel Museum is dedicated to supporting The Israel Museum, Jerusalem, home to the world’s most extensive collection of art and Holy Land archaeology. American Friends of ORR Shalom Inc.
Orr Shalom is Israel’s largest non-profit organization providing residential and therapeutic services to children and youth at risk who have been removed from their homes by the social welfare services due to severe abuse and/or neglect. The Amherst H. Wilder Foundation is a nonprofit community organization that helps children, families and older adults in the greater Saint Paul and East Metro area through direct service programs, research, leadership development and community building. Anti Defamation League is the world’s leading organization fighting anti-Semitism. ARCE was established in 1948 as a consortium of American universities, museums, and individuals dedicated to scholarly research in Egypt.The American Research Center in Egypt (ARCE) was established in 1948 by a collection of American universities dedicated to scholarly research in Egypt. Artesian Farms provides sustainably-grown, pesticide-free, non-GMO, produce at fair prices. Its crops are harvested by hand and grown in Detroit, year-round through its indoor farming systems. 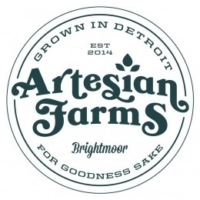 Artesian Farms is also dedicated to providing meaningful opportunities and relationships to the people in its surrounding neighborhood, Brightmoor, northwest Detroit. Currently 100% of its team is made up of people who live in Brightmoor. Art Road Nonprofit is the only social impact organization in Michigan actively bringing art class back into schools for the entire school year as part of the regular curriculum. 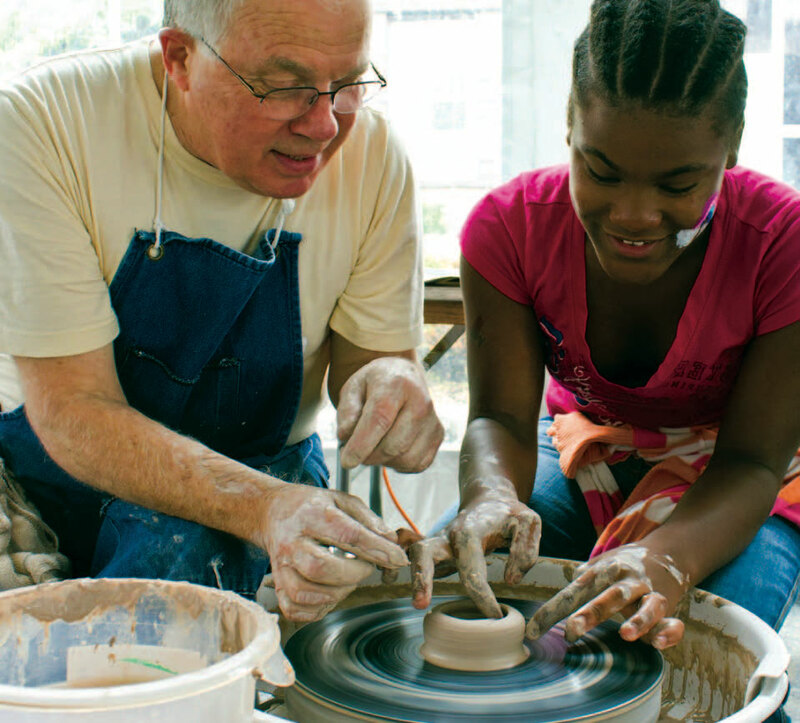 Art Road's Mission is that children throughout Southeastern Michigan have access to art instruction. Currently, Art Road is providing art class to 1,270 students that lack art in their curriculum. ArtPlace America (ArtPlace) is a ten-year collaboration among a number of foundations, federal agencies, and financial institutions that works to position arts and culture as a core sector of comprehensive community planning and development in order to help strengthen the social, physical, and economic fabric of communities. Birthright Israel began with a bold idea—offering a free, life-changing trip to Israel to young Jewish adults between the ages of 18 and 26 and, in doing so, transforming the Jewish future. The organization’s mission is to give every Jewish young adult around the world, especially the unaffiliated, the opportunity to visit Israel. The Brightmoor Alliance is a coalition of nearly 50 organizations dedicated to serving northwest Detroit’s Brightmoor community. Together, the Alliance pursues a vision for the community that is built on faith and provides opportunities for all residents of this community to pray, grow, learn, thrive and play. 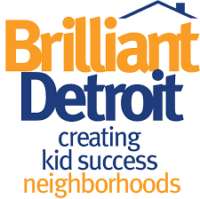 Brilliant Detroit is dedicated to building kid success families and neighborhoods where families with children 0-8 have what they need to be school ready, healthy and stable. The CIDRZ mission is to improve access to quality healthcare in Zambia through innovative capacity development, exceptional implementation science and research, and impactful and sustainable public health programs. The Children’s Hospital of Michigan Foundation supports pediatric research, education, community benefit programs, and other initiatives that improve the health of children in Michigan. For over 90 years, the objective of the Citizens Research Council of Michigan has been to provide factual, unbiased independent information on significant issues concerning state and local government organization and finance. City Year works to bridge the gap in high-poverty communities between the support that students actually need, and what their schools are designed and resourced to provide. In doing so, City Year is helping to increase graduation rates across the country, and changing the lives of the students served. The College for Creative Studies (CCS) is a private, fully accredited college of art and design with nearly 1,400 students from around the world enrolled pursuing Bachelor of Fine Arts or Master of Fine Arts degrees. The Lorraine & Jack N. Friedman Commission for Jewish Education of the Palm Beaches serves as a connector of ideas, people and institutions in order to strengthen Jewish education in the community. The CCM Economic Development Bond Fund LLC: The State of Michigan Impact Series (the Fund) is a high credit quality vehicle making fixed income investments in support of community economic development in the State of Michigan. The Fund puts social impact in the forefront and through reporting and detailed metrics, investors will be able to demonstrate specific social return. The Community Foundation helps individuals, businesses, nonprofit organizations and other foundations meet their charitable and financial goals by providing tools and resources that make giving to one's community easier, flexible and effective. Council for a Strong America is a national, bipartisan nonprofit that unites five organizations comprised of law enforcement leaders, retired admirals and generals, business executives, pastors, and prominent coaches and athletes who promote solutions that ensure our next generation of Americans will be citizen-ready. CultureSource is a professional association comprised of 115+ organizations serving the region as for-impact enterprises for the arts and culture. The group works to advance the missions and works of each of our members by helping them connect with new people and audiences, with each other, and with new opportunities. The Curtis Institute of Music educates and trains exceptionally gifted young musicians to engage a local and global community through the highest level of artistry. It provides full-tuition scholarships to all of its students, ensuring that admissions are based solely on artistic promise. Curtis provides complete and diversified musical training, plus liberal arts courses. Detroit Public Television (DPTV) is Detroit’s leading educational television provider, with an audience of over 1.5 million, and is expanding its reach by working on-the-ground in early childhood educational programming. Detroit Community Loan Fund (DCLF) is a Community Development Financial Institution (CDFI) and low-profit limited liability company (L3C), created by Detroit Development Fund and Invest Detroit. DCLF finances small businesses headquartered in the city of Detroit which have traditionally faced obstacles in obtaining financing, but have demonstrated growth potential.